LONDON: Former captain Alastair Cook believes England have an “outstanding chance” to lift the World Cup on home soil, having built a squad full of proven match winners. Eoin Morgan’s top-ranked side enter the tournament as the one of the most consistent teams in the format and their quest for a first 50-overs title begins against South Africa at The Oval on May 30. Since their shock group-stage exit from the 2015 World Cup, England have been particularly strong at home, winning 30 of their 42 ODIs while losing only nine. 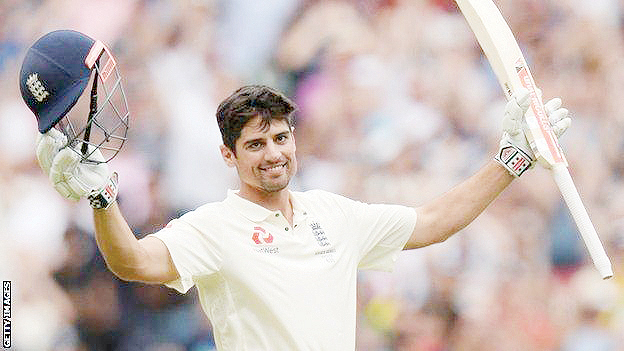 “England have an outstanding chance,” Cook, who retired last year from international cricket, told Sky Sports. “This is first time going into a World Cup England have such a settled squad. Everything looks great from the outside, they have every option covered.” England failed to cope with raised expectations at the 2017 Champions Trophy when they lost to eventual winners Pakistan in the semi-finals. Cook is positive such blips can only make a team mentally stronger. Since the start of last year, England have come out on top in bilateral ODI series against World Cup holders Australia, New Zealand, Sri Lanka and India. “They had that blip in the (2017) Champions Trophy, where they lost in the semi-final to Pakistan when they were favourites, but you need those lows to be able to grow as a side,” he added. “They are favourites. This is a great opportunity for Eoin (Morgan) and the guys to play some fantastic cricket.